A new season of Bodleian Student Editions workshops began on 23 November. You can read more about them on our blog. We continue to add letters to the Early Modern Letters Online (EMLO) database from correspondence in the Bodleian’s manuscript collections. The challenge is to find material that is unpublished, readable (for people without previous palaeographical experience), interesting, and in good condition, as the students work with the original documents in the workshop. This year, as well as continuing transcriptions of the 27 letters of James, Duke of York, begun in last year’s workshops, we have also embarked upon a new series of letters written by Penelope Maitland (née Madan; 1730–1805) to her friend Charlotte West (née Perry; 1769–1860). The Maitland letters provide a wonderful insight into a fascinating family around the time of the French Revolution and the wars with France, events which were to have a deep impact on both Maitland and her correspondent. The letters (ref. MSS. 6633) came to the Library in 2011, a very generous gift of mother and daughter, Pat and Charlotte Kinnear, descendants of Charlotte West (née Perry). They had discovered, through the Bodleian’s online catalogue, that some of Penelope Maitland’s papers were already in our collections. In fact, Maitland’s maiden name was Madan and she was related to an ancestor of Falconer Madan (1851–1935), Bodley’s Librarian from 1912 to 1919. We learn of Maitland’s remarkable connections in Falconer Madan’s account of his family (The Madan Family, 1933): she was the younger daughter of Colonel Martin Madan, MP, an equerry to Prince Frederick, and the poet Judith Cowper (1702–1781); and she was a cousin of poet William Cowper (1731–1800). Penelope Madan married Sir Alexander Maitland (1728–1820), 1st Baronet, a general in the British Army, and a younger son of Charles Maitland, 6th Earl of Lauderdale. From 1749 she formed an attachment to the Methodists and became acquainted with the Wesleys. Papers of Madan family members including Maitland, her parents, her sister Maria Frances Cecilia Cowper (also a poet), and daughter-in-law Helen Maitland were given to the library in 1967. 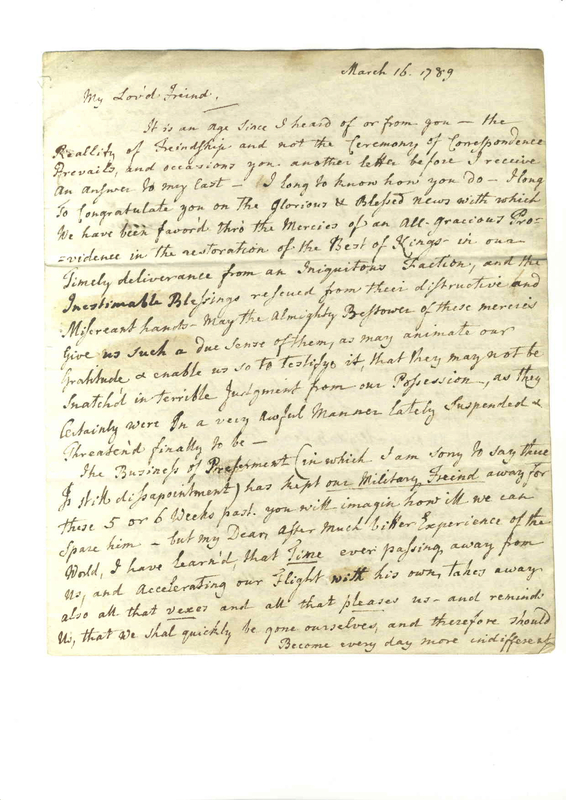 Maitland’s letters to Charlotte West date from the last two decades of her long life. West was nearly forty years younger and had known the older woman since she was a child in their home village of Totteridge, Hertfordshire. After completing her education in France at a Benedictine convent, West (Perry at the time) lived with her father Sampson Perry in London. In 1788 she eloped with Charles Augustus West, a page to George III, and they were married secretly at Gretna Green. A year later, the marriage was formalized at St Luke’s, Chelsea. Charles Augustus West became an army officer and was serving in Egypt and then Flanders at the time the letters were written. This gave the two women something else in common, as Maitland also had family members at war: her son Lieutenant-Colonel Augustus Maitland was killed in action in the Low Countries in 1799, while another son, Frederick, attained the rank of General. At the time of the letters, he was commanding marines at sea, and in 1796 he was appointed secretary to General Sir Ralph Abercromby, with whom he travelled to the West Indies, much to Maitland’s dismay. The Argus was in fact a radical independent newspaper. Sampson Perry was a sometime surgeon, author, and military commander who was waging war on the government through his paper, which led to his conviction for libel. In 1792 he fled to France, only to be imprisoned by the Revolutionary regime. In 1794 he returned to England in disguise, but was arrested and sent to Newgate, an incident noted by a disapproving Maitland in a letter of 2 April 1795. As well as her perspective on important events of her time, Maitland’s letters to West chronicle her personal tribulations: the illnesses of herself and her children, and her problems living under the eye of a rather controlling husband in their home in Totteridge. Her resilience and wit emerge in her epistolary codenames for her family. Her husband is referred to as ‘The General’ (usually abbreviated to G–l), while she calls herself the ‘Abbess’, and her daughters, also named Penelope and Charlotte, ‘the Nuns’, or ‘Vesta’ and ‘Vitula’. Maitland’s correspondence with West adds another layer to our intricate picture of the lives of this literary family. It is particularly exciting for us to see Bodleian manuscripts, with relevance to characters from the history of the library itself, made more widely available through the combined efforts of library readers from both in and outside the University—both family members of the correspondents and students. As with previous workshops, it was the chance to handle original manuscripts—in many cases for the first time—and discover the ‘human aspect shining through the letters’ that was the highlight for the student participants, who represented a wide range of degree courses including Chemistry, Engineering, Geography, Music, Classics, and History. Those working on Maitland’s letters were keen to compare examples of her idiosyncrasies and ‘peculiar humour’, while discussing wider questions such as the ways in which ‘different intentions and areas of interest affect what will be preserved in a transcription’. The workshops continue to show how students at different levels and in different disciplines can work with manuscript sources and digital technologies in collaboration with library and faculty staff to increase access to Bodleian collections in their scholarly contexts, and find new areas to explore. This introductory two-day workshop will help students and researchers get to grips with basic computational analysis methods. It is aimed at an introductory level and will be useful to anyone seeking to work with large amounts of textual data. The workshop builds sequentially on its sessions and attendance at both days is required. Please note that catering is not provided. 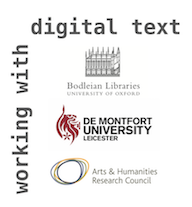 The workshop is part of the Travelling Roadshow led by Gabriel Egan, Director of the Centre for Textual Studies at De Montfort University, with funding from the Arts and Humanities Research Council, and is hosted by the Wolfson College Digital Research Cluster and the Bodleian Libraries’ Centre for Digital Scholarship. NOTE: attendees are requested to bring a laptop with the latest version of Python and oXygen XML Editor. As a member of the University, using your Single Sign-On you can download oXygen and the required licence free of charge, via IT Services’ Software Registration and Download. If you cannot bring a laptop with you, please let us know before the day. Registration is required as places are limited. The event is open to members of the University of Oxford only. Identity fusion is a concept central to a lot of research in social psychology and cognitive anthropology. So it is understandable that a member of an anthropology research group wrote an explanation of this concept for Wikipedia, explaining the idea to the widest possible audience and citing the key papers. 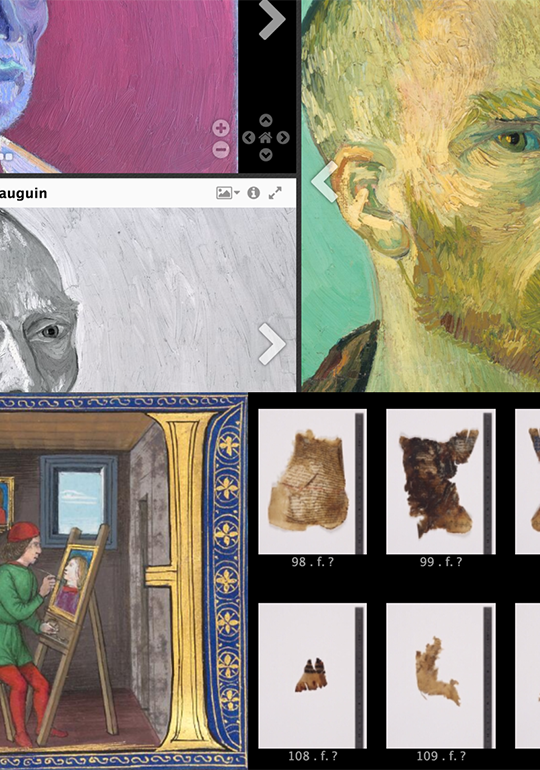 how to remix images from different manuscripts or collections into a new sequence for research or teaching. All welcome; no technical or research experience necessary. Please bring your own laptop if you have one. Some of the more advanced tasks will require a text editor such as Sublime Text or Notepad++, both of which can be downloaded for free.